On January 29, 2019. 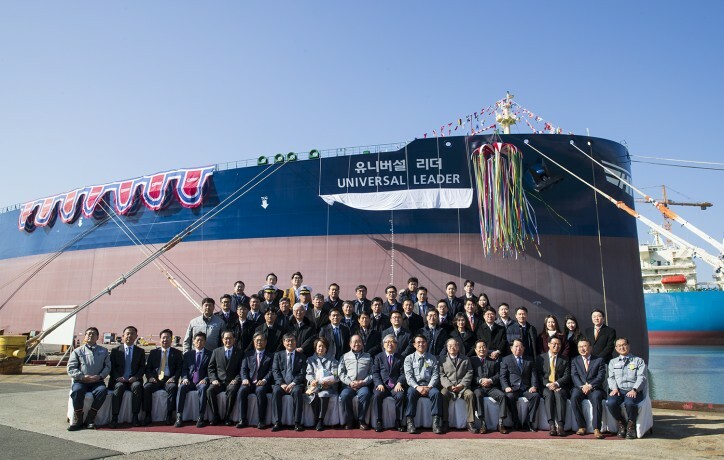 HMM held a naming ceremony for a 300,000 dwt Very Large Crude Oil Carrier (VLCC), the ‘Universal Leader’, at the Daewoo Shipbuilding & Marine Engineering (DSME)’s Okpo shipyard in Geoje, Korea. About 100 distinguished guests attended the ceremony including C.K. Yoo (President & CEO of HMM), Ho Seon Hwang (President of Korea Ocean Business Corporation (KOBC)), and Sung Leep Jung (President & CEO of DSME). Additionally, Mrs. Jang Mi No, Mr. Hwang’s wife, took on the role as godmother who cut the ropes to officially name the ship during the ceremony. In September 2017, HMM signed a contract with DSME for construction of five VLCCs and ‘Universal Leader’ is the first of five VLCCs scheduled to be delivered every two months until this September. Also, all vessels are equipped with a scrubber system in preparation for IMO environmental regulations and ship engines ensure optimal economic speed to save fuel. In 2017, HMM placed an order for five VLCCs worth approx. KRW 470 billion (USD 420 million) to take proactive actions towards market change, as shipbuilding costs fell to the lowest level since 2003. 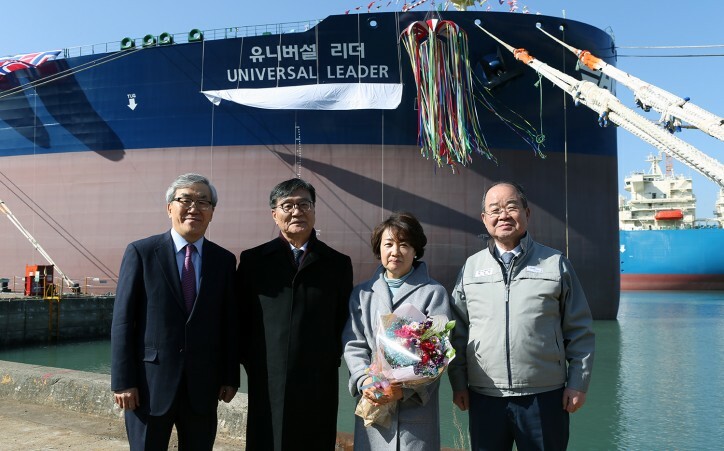 Meanwhile, ‘Universal Leader’ will be flexibly deployed in a spot market after its naming ceremony, and two of five VLCCs will serve a five-year consecutive voyage contract with GS Caltex, worth KRW 190 billion, signed in March last year.